Dynamic LEGO-building duo, Ratz Brix, have been exhibiting their large, custom-made and interactive creations for just over 18 months. But in that short amount of time, they have already wowed crowds and achieved amazing recognition for their work. But where did it all start? Like many Adult Fans of LEGO (AFOLs), Karryn grew up with the beloved interlocking bricks and old family photos show testament to her love for it even at a young age. When she was 18, she took on her first large-scale project – a replica of Footy Park. From there, she kept building big and took on larger, more complex challenges. Among her creations were a Super X track (with real dirt) and a replica of the Titanic that measured over 6 feet long. 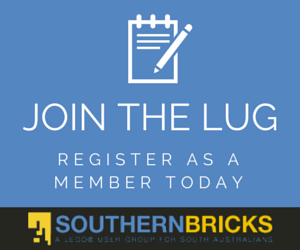 Ratz Brix partner, Jac also caught the LEGO building bug not long after meeting Karryn. Together they decided to build a large soccer oval that also included an articulated roof that could open and close. That experience saw Karryn and Jac both share their love for LEGO together and would eventually lead to “Ratz Brix” being formed. 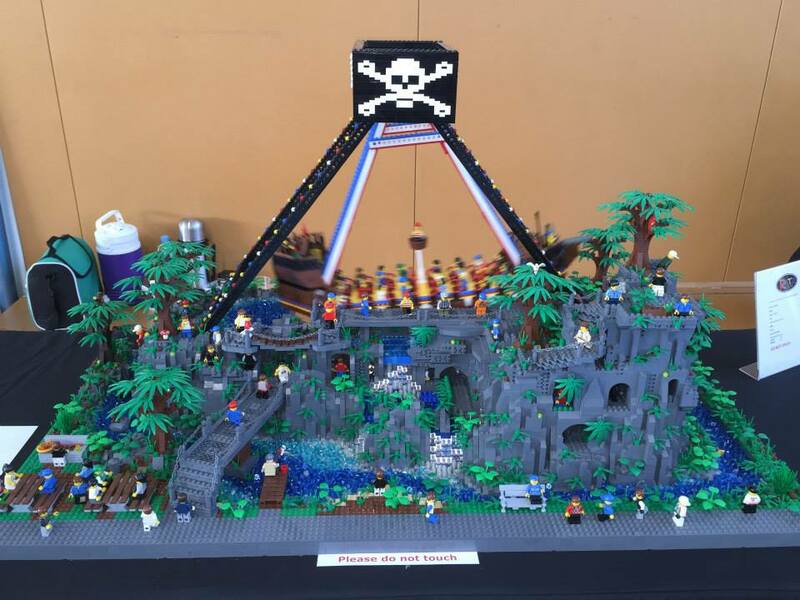 In 2014, Ratz Brix really started making their mark in the LEGO community when they made their LEGO display debut at Melbourne’s Brickvention. What started as a last minute application, turned into something special. 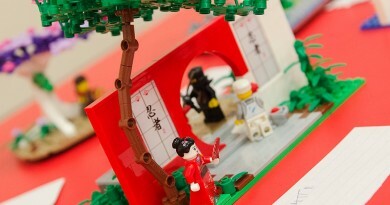 “Having never heard of Brickvention before and being first time exhibitors, we had pretty much no idea what to expect. We had only just heard about it as applications were closing. In time. A decision was made to build a Vegemite jar. 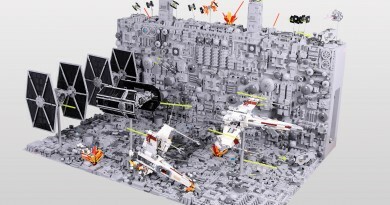 The original build used 15,192 bricks and took 140 hours to build. It took 80 hours to design (on graph paper) and build the lettering, and a total of 60 hours to build the entire remainder of the jar – including the tamper seal around the lid. The jar was completed with a couple of days to spare. design and sheets we used to keep track of how many bricks were used. When we arrived at Brickvention, there were people, tables, officials and LEGO creations as far as the eye could see. We wheeled our jar in (it had a sheet around it in the cradle to protect it from getting scratched) and I was thinking ‘Gee, maybe our display is a little large!’ We made our way to our table, led by one of the officials, and set up our display including a display board that listed the name of the display, our names, bricks used and time to build. We then went for a walk around to check out what was happening around the Royal Exhibition Building – a first for me, being from South Australia. After spending a good hour or more checking out the place, we headed back to the jar. As we approached the jar, I could see two men standing there (one of them was Tim Burdon), looking at it, hands on hips. As we got closer I could hear them discussing that this must be one of Ryan McNaught’s exhibits. Then one guy looked at the display board and said ‘No, Karryn Prain-Madden built it’. Looking at each other they asked, ‘Who is this Karryn Prain-Madden?’ So I piped up and said, ‘ME!’ They asked me where I had been for all of these years and I replied ‘In my own home.’ We chatted to these guys and many others (over the four days). Friday was exhibitors day with different activities and, of course, prizes. The proudest moment of the day was when the Vegemite Jar was voted for the LEGO Certified Professional (LCP) Award. Ryan McNaught had chosen it as his favourite and we won one of the notorious yellow LEGO trophies (which also now gets displayed with pride of place on the table with the jar). It was an extremely proud moment as a new-comer to walk up to the stage to collect the trophy. Saturday and Sunday were the exhibition days with 25,000 attendees being let through to view all the exhibits. There were so many comments of ‘Wow!’ and ‘Vegemite!’ and ‘Look, look!’ and ‘Stand there while I take a picture.’ At times people were 6-8 deep with their cameras and flash after flash and kids being told to stand in front of it. So many people told us it was their favourite exhibit there. 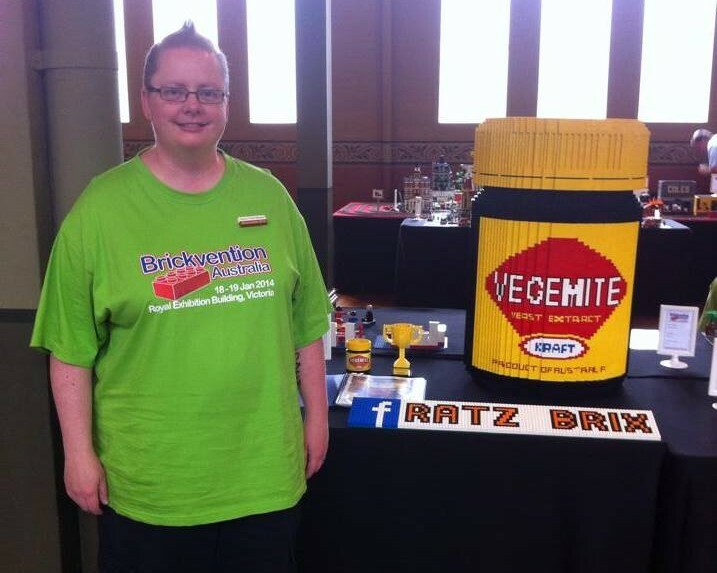 The Ratz Brix Vegemite Jar continues to be a favourite for many at various events. Standing nearly 800mm tall it is instantly recognised as of the countries favourite Aussie icons. Since Brickvention, it has been featured at Government House and has also been rebuilt with a more efficient use of bricks. 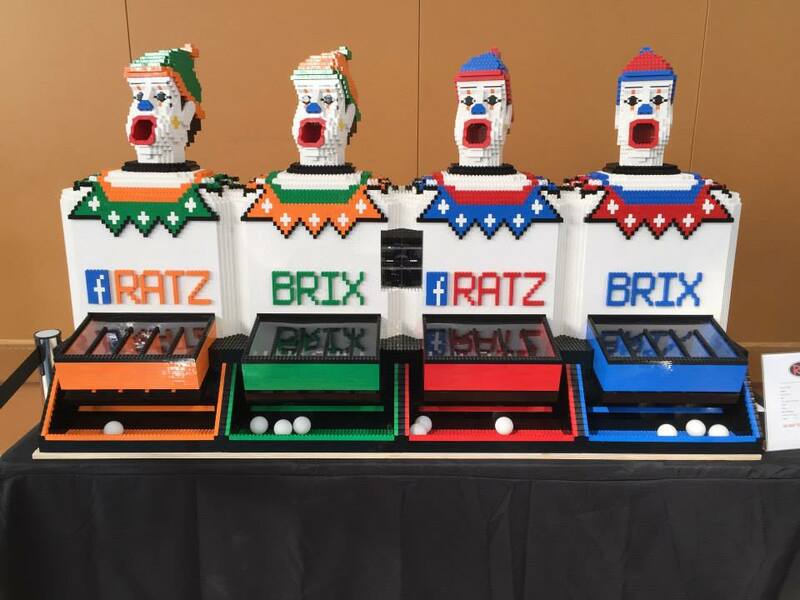 Motivated by the reactions their creations get from spectators and the satisfying sight of seeing their ideas come to life, Ratz Brix continues to build an amazing array of displays that they regularly exhibit. 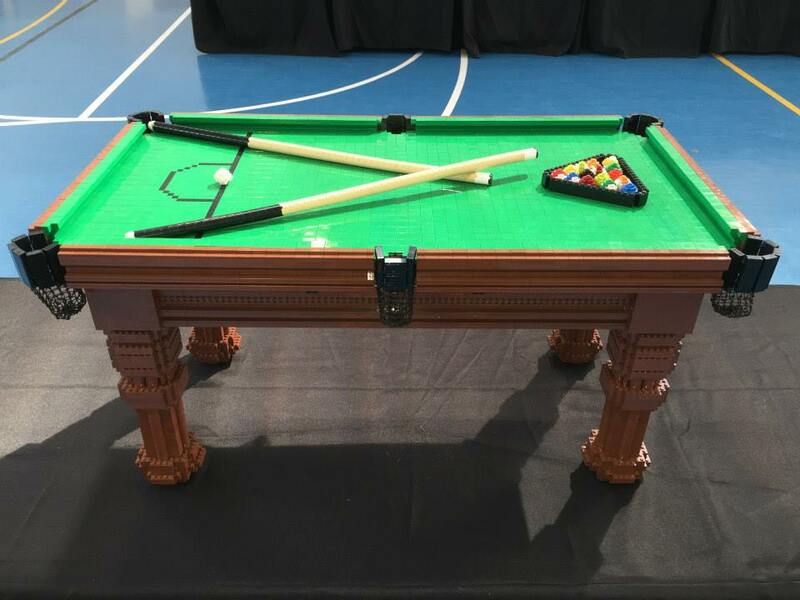 With a mix of moving and static displays, the duo share their love for LEGO building by encouraging people to see “behind the scenes” of the mechanisms involved and even interact directly with some of their displays. The pieces for their current exhibition have totalled well over 100,000 parts and over 900 hours worth of building. 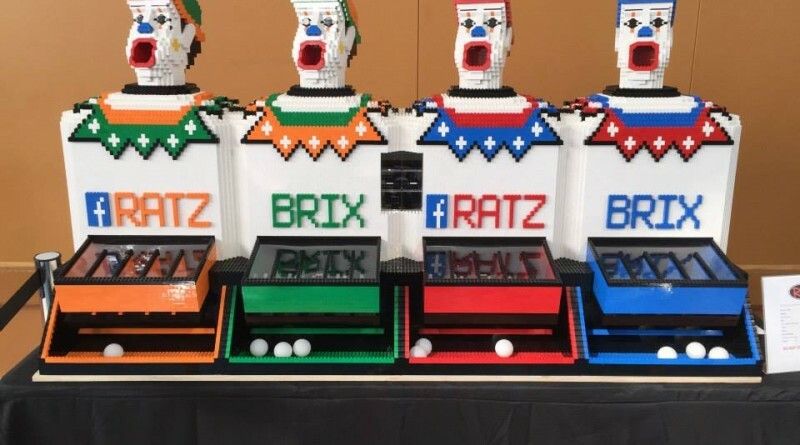 Among these are;” Ratz Clownz” – a mechanized version of the classic clown parlour game, with over 31,000 bricks; “Ratz Dominoz” – a 9-metre long chain reaction with brick-built dominos that people can push and “PiRatz” – a 10,000 piece, LEGO depiction of the well known pirate-ship style carnival ride set on top a LEGO mountain with a working LEGO waterfall and intricate details that are sure to catch the attention of onlookers. For more information about Ratz Brix and to see more fantastic photos of their work, head over to their Facebook Page. If you want to check out Ratz Brix exhibit, Karryn and Jac are coming back to Adelaide and bringing their LEGO with them. You can see it all at Toy Corner these school holidays so come along to see the amazing displays in person. 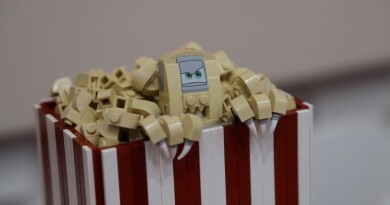 You will also have the chance to talk to the team and ask questions about LEGO building and their creations.